Custom signage set guests on the right path at Matt and Felicia's Hotel Del Coronado wedding. 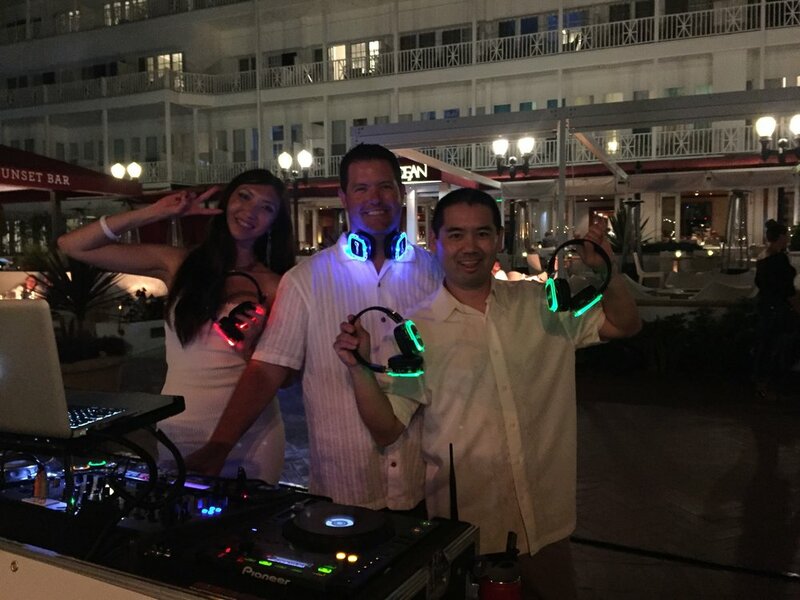 In a way it was fitting that I DJ’d Matthew and Felicia’s wedding at the beautiful Hotel Del Coronado. The couple actually works at the Del and it was where they met, fell in love and of course shared their vows to each other. The reason it was fitting, for me, is the Del is probably the venue I’ve DJ’d/MC’d the most weddings at. I do not have an official count, but looking back on the past 14 years, I know I’ve been a part of many. It’s a place where I truly honed my craft as a DJ and MC. In a way I found my love for DJing at this place, in the same spirit Matthew and Felicia found their love for each other. The ceremony took place on the beach and just a few steps away, on the Windsor Lawn, was where their reception and dance party took place. Del weddings are always a magical, but there is something extra special on nights like this. A perfect Fall evening in Southern California with a Pacific Ocean backdrop and a great group of people having fun and celebrating love! Some songs are just meant to be sung with a group of friends. And when those songs come on, you sing them very loud. I loved creating this moment, espeically loved seeing the bride with her group of girlfriends singing with a smile.